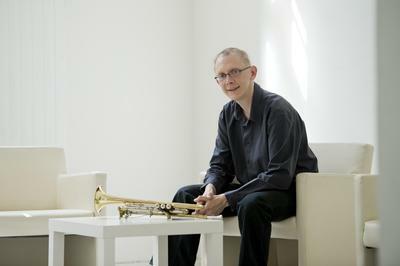 Still Life was written for Stephen Altoft and his quarter-tone microtonal trumpet. The Electronic component of Still Life includes both pre-composed 'tape' tracks and live responses. Using pd, the computer analyzes the trumpet input and tries to identify simple types of patterns: long notes, rapid passages, and steady pulses. The computer then generates an appropriate response based on the trumpet notes. Inhabiting this world is the trumpet whose fragmented sound gradually transform into a slow melody. Both melody and fragmented calls become submerged into the electronic sound towards the end of the piece. This recording was produced by Donald Bousted and Oded Ben-Tal with post-production by Oded Ben-Tal. The recording was made at the studios of Kingston Univeristy, London. What do you want to know about Still Life?